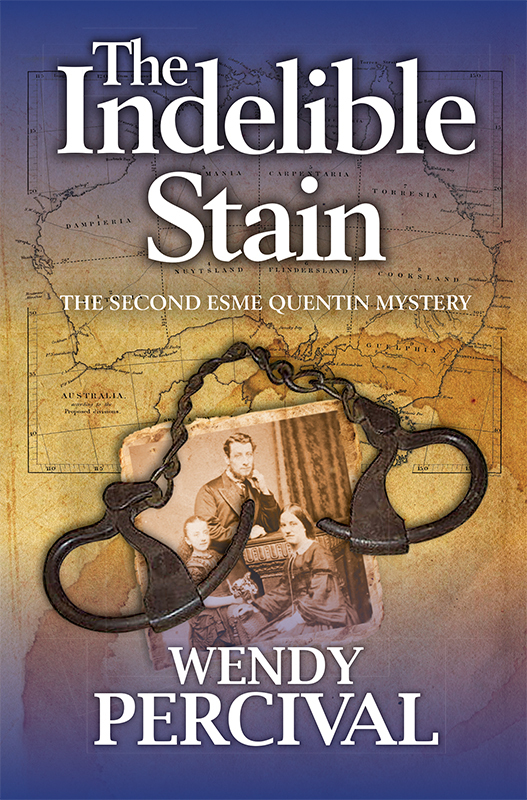 Today I have the honour of welcoming Wendy Percival, author of the Esme Quentin mystery series (Blood Tied, The Indelible Stain) onto my blog. Wendy is also actively engaged in researching her own family background, which constantly throws up ever more questions. Wendy, my inspiration for my first novel came from some WWI postcards I found among my grandmother’s possessions. What was it you found out about your family that inspired you to write fiction? Pleased to be here! 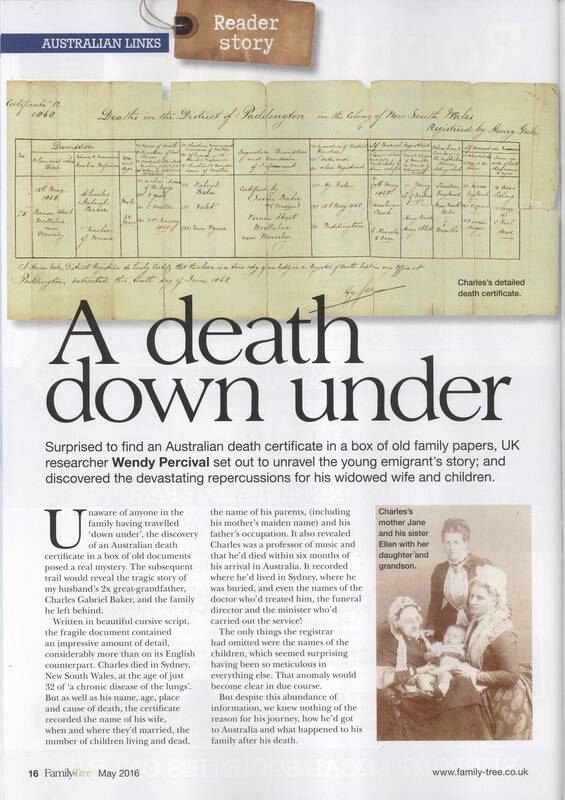 It was the discovery of a 19th century death certificate, issued in Australia, in the ubiquitous ‘old box in the attic’ that set me off. How did you follow up this intriguing discovery? Questions began to flow about the identity of this Charles Gabriel Barker – a musician. Why was he on the other side of the world? When had he gone? How had he got there? Where were the other family members mentioned on the document? It took me a few years to consult birth records, marriage certificates, censuses, schools’ records, orphanage admission books, ships’ passenger lists and newspaper archives to get some answers. It was a steep learning curve and I wrote an article about my discoveries in Family Tree magazine. Later I researched convict ancestry information specifically to write The Indelible Stain. These days we are blessed with access to a vast amount of information about the past. Which is your favourite go-to historical source? • the rest of the members of the household, their relationships, ages, occupations and where they were born. It allows us to learn more about these people from the past, even with only a few names and dates on the ancestral family tree to go on. Tell us about one particular discovery you made during your family tree research? I discovered that my 2x great-aunt, Henrietta Benbow, died young in 1854, aged just 23. Her occupation was listed as ‘china burnisher’. From research I found out that she worked in a porcelain factory in Coalport, Shropshire, and that her job was to polish pots after firing to improve the finish. 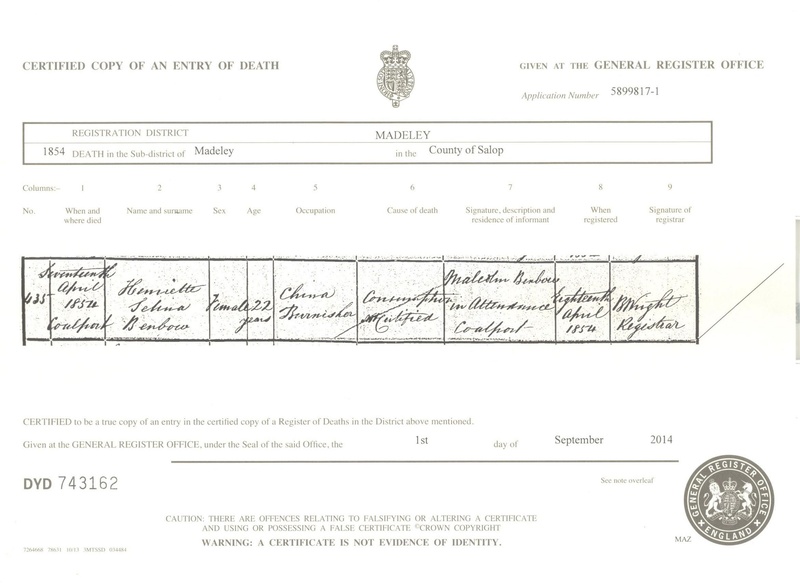 Henrietta’s death certificate stated the cause of her death as consumption, a common respiratory disease in nineteenth century England. However, reading further about an ancestor’s occupation can be revealing. A study of 1864 showed that the average rate of death of potters was much higher than that of the general population. When I discovered that 60% of their deaths were attributed to lung and respiratory diseases I realised that her occupation likely contributed to her untimely death. In my family, a hush always fell on the room when a certain relative was mentioned. Any black sheep in your family? More than one! When trawling the census looking for my great-grandfather, I found a series of clues which indicated that he’d been living a double life with two ‘wives’ and two families of young children. They lived only streets apart in London in 1880s. He’d got away with it, it seems, for a least six years before my great-grandmother learned of his deception and kicked him out! You gave your fictional protagonist, Esme Quentin, the job of genealogist, thereby mirroring your own research efforts. How does that work? As a mystery writer it’s all to do with following clues and solving puzzles – exactly what I do when researching my family history. It seemed quite natural to dovetail the two together – especially when there’s a suggestion of a dark family secret afoot. Like me, Esme can worry away at the information, following a trail of clues, but sometimes going down a blind alley and being sidetracked by occasional red herrings, until finally the whole picture emerges and all is revealed. So you have had to be every bit as tenacious as Esme in finding out the truth? Sounds like the perfect solution. What’s the next mystery for your fictional genealogist to solve? I don’t want to give too much away here, but the clandestine past of the Second World War provides the secret world into which Esme must delve to uncover the truth for my third novel. So much intrigue in that period to fire an author’s imagination. When can we expect to get our hands on a copy? I haven’t quite finished it yet, and need to decide on a title, but it will be published soon. I’ll look forward to that, Wendy. It’s been a joy to have you on my blog today. Thank you. You can find out more about Wendy’s fiction on her website. She shares her most intriguing discoveries from her own family history research on her Family History Secrets blog. 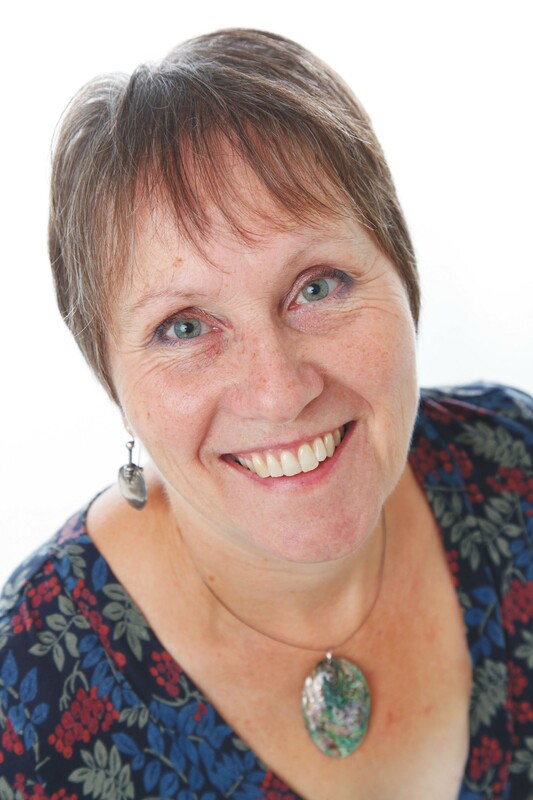 Wendy has also written articles for Family Tree Magazine, Writers’ Forum and Shropshire Family History’s Quarterly Journal. 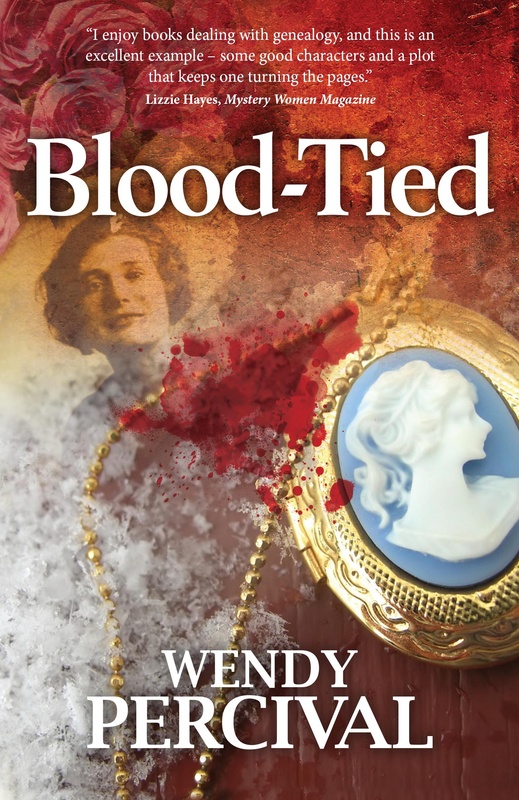 Blood Tied A desperate crime, hidden for 60 years…but time has a way of exposing the truth. The Indelible Stain Secrets from a tainted past. Thanks for the invitation on to your blog, Sue! I was delighted to answer your questions. A real pleasure, Wendy. Looking forward to hearing about more discoveries and revelations and seeing if I can spot these threads in your novels. It’s amazing, isn’t it, to think of all the information that is awaiting discovery – sufficient inspiration for generations of novelists! It works for me, Liz! I love that frisson of excitement when you unearth a little gem that sparks your imagination. You’re ahead of me, Janet. I hope to get my second outing with Esme Quentin before Wendy publishes the next one! I love Wendy’s books – great to hear about her family history background too. I am eagerly awaiting Esme’s third case.